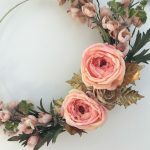 I’m going to go a bit off the beaten path today and talk about wedding decor – stay with me here friends this is a versatile AND inexpensive DIY. Best part of it is the cost coming in around $5 a frame depending on what you may have on hand. 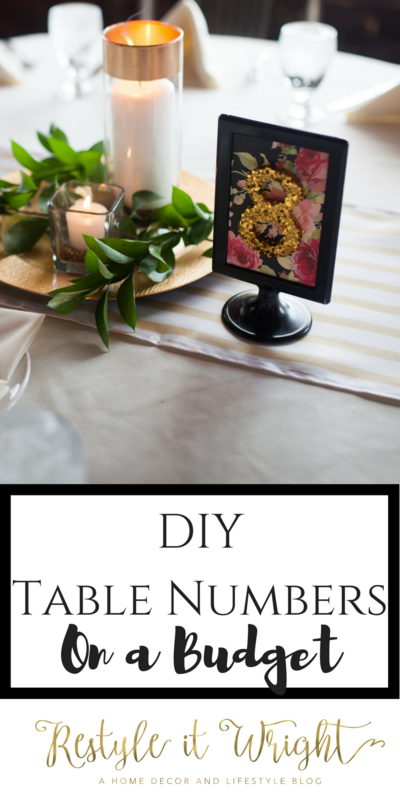 Sure this is for a wedding but this budget friendly tutorial works for anytime you may need table numbers – receptions, corporate events, graduation parties – the skies the limit! 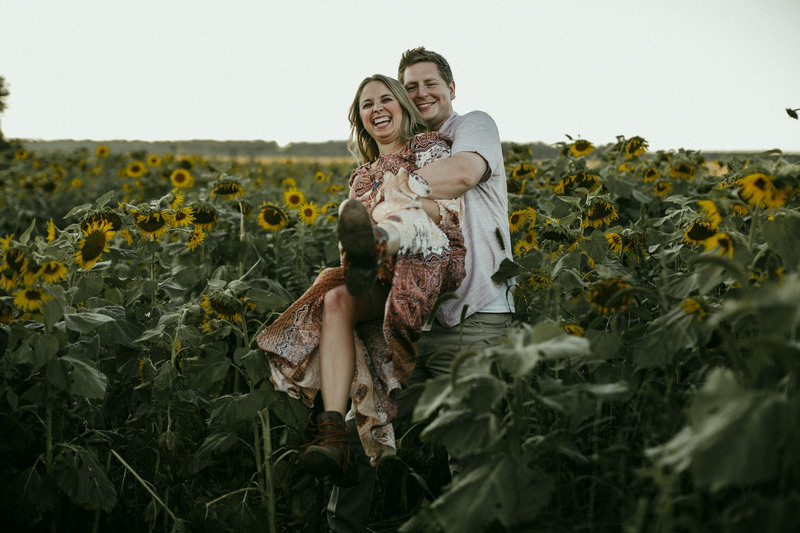 As you may know the husband and I just recently celebrated our ten year wedding anniversary with a vow renewal with about 100 of our closest friends and family. It was an amazing party and I strongly encourage everyone to do it! As you can imagine, however, celebrating with a crowd that size can really add up! We offered a buffet style meal, beer, wine, a signature drink, a DJ, and of course the venue. And as much as I like things to be pretty I sure didn’t want to spend a ton of money on table decorations. 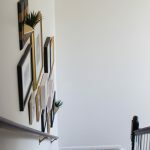 I put myself on a mission to create budget friendly decor that was still glamorous – just like I do in my own home! 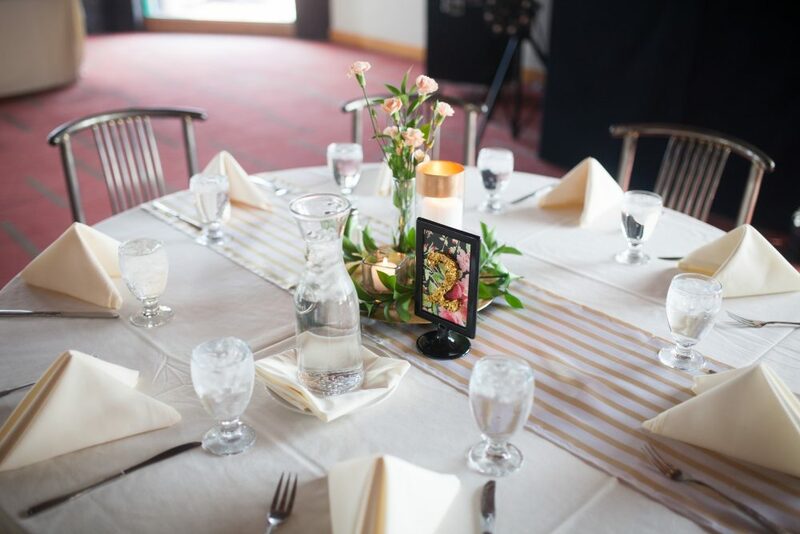 We had about 15 tables that needed runners and centerpieces as well as table numbers so the budget was super tight and I can proudly say I had each table down to around $15. Holy Mama right?! And the best part was it looked just as glamorous as I’d hoped! 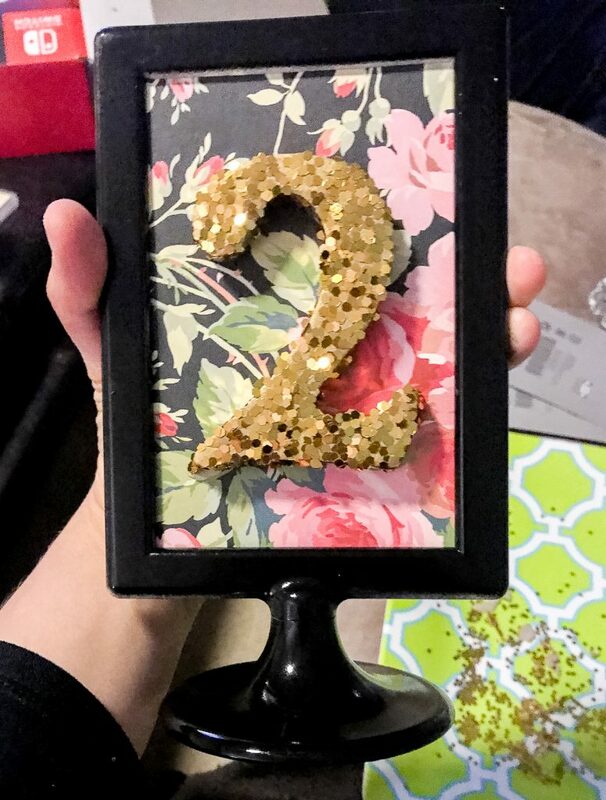 One of the items I DIY’d to save money was the table numbers. 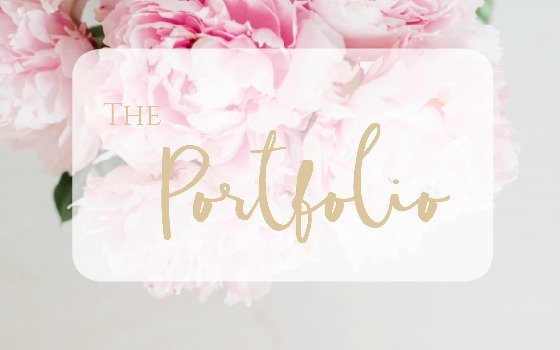 A quick Pinterest search will show you oodles of inspiration but I just wasn’t quite finding anything I liked. So after a quick trip to Ikea and the craft store I had a solid option that turned out even better than I had imagined. 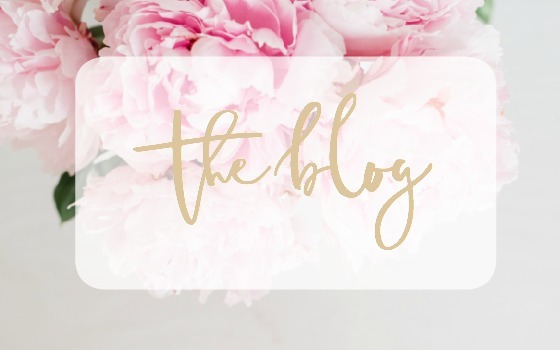 Modge Podge * (had on hand) – make sure it’s the ‘dries clear’ one! Luckily I had many items on hand but if you need to buy all the items to make these the cost is still very reasonable. 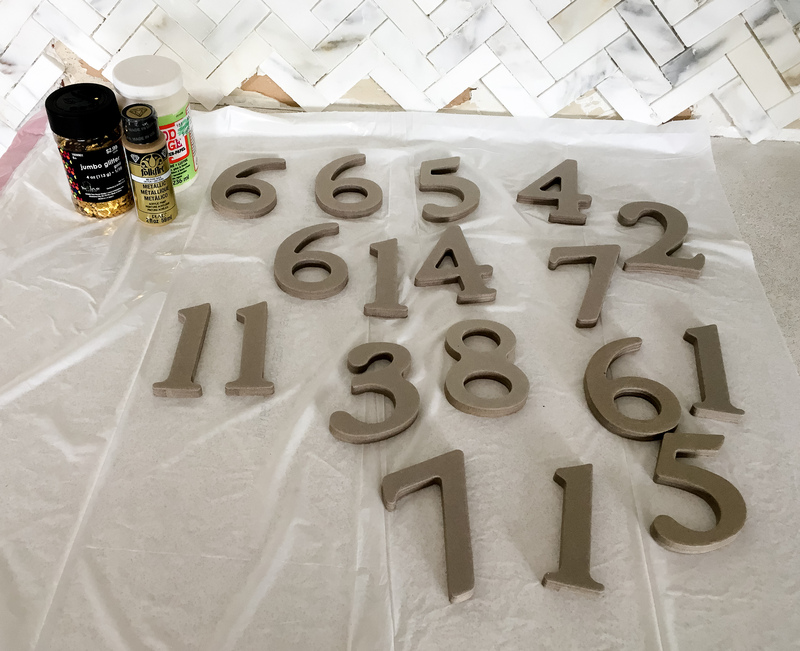 My first step was to paint all the chip board numbers in the gold metallic craft paint using a foam brush. 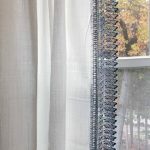 You can see how thick and dimensional these numbers are which is a great feature – I found them at Hobby Lobby and snagged them for 50% off. They paint very easily since they are cardboard material and they are light weight. Make sure you paint around all the edges! No need to paint the back of the numbers since we will be attaching these to the paper. Once they are dry – spread a decent layer or modge podge onto all the painted surfaces with the foam brush. 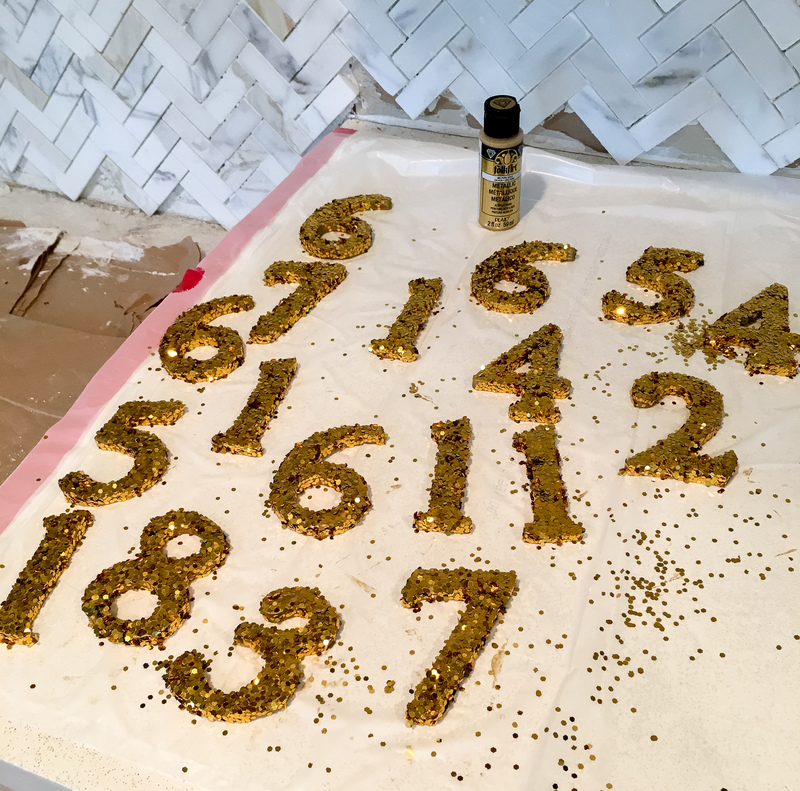 While the glue is still wet pour the jumbo glitter onto the numbers ensuring the paint is covered. I just used a heavy pour over a bowl and then pressed the numbers into the excess glitter. You really can’t mess this up – promise! 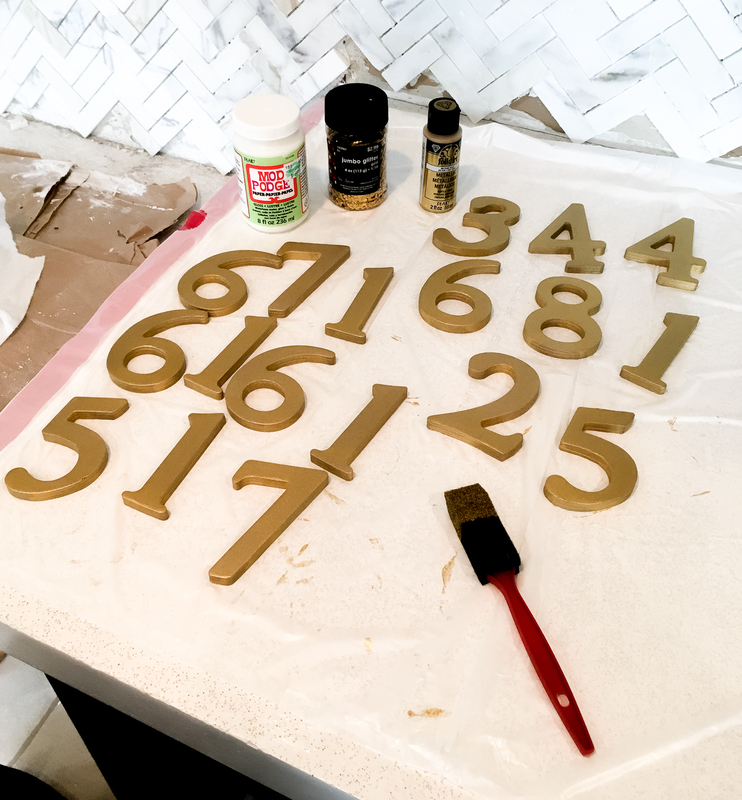 Once the glitter is adhered to the numbers and dry I placed some more modge podge around the numbers to ensure there was no glitter flaking off. 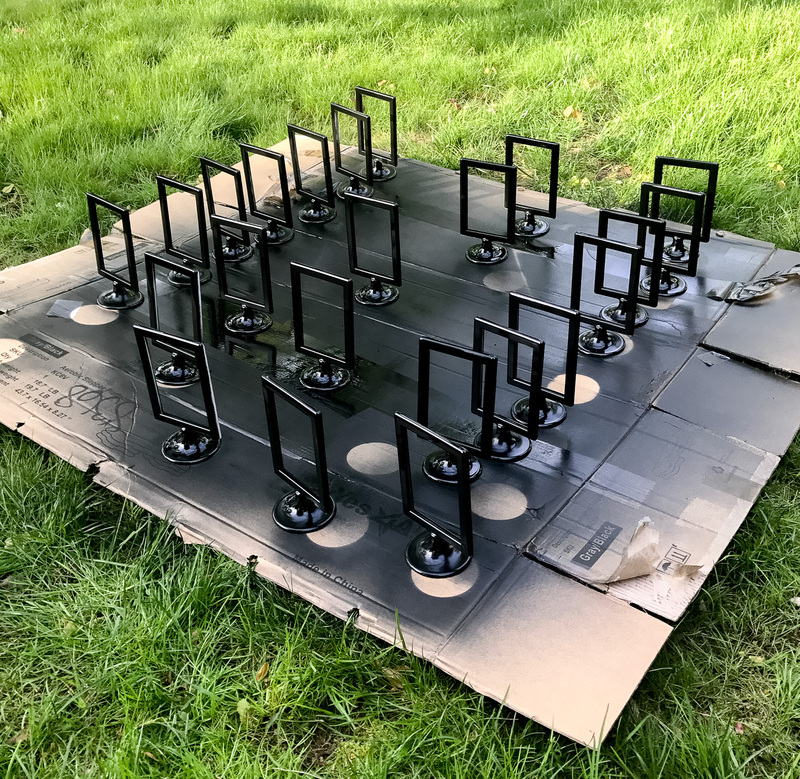 While the numbers were drying we assembled and sprayed the frames in a glossy black. Be sure to keep all the plastic inserts that come with the Ikea frame and we’ll use one for our paper measurement later. A couple of coats later and they were looking glossy and chic! While the frames were drying we took the plastic insert of the frame and traced out the 4×6 size onto the scrapbook paper. For each frame you’ll need two pieces to place back to back. If you want to do something else on the back of the frame it’d be cute to place a black and white 4×6 picture too! (If I had more time I totally would have done that). Once the papers are cut and in the frame and the numbers are dry it’s time to assemble! The plastic faux glass will be inserted between the two pieces of scrapbook paper to help support the weight of the cardboard numbers. Plus if you want to reuse the frames for their intended purpose than you still have the faux glass piece. A simple coat of rubber cement on the back of the number will adhere each one to the paper. And that’s really it folks! It’s truly as simple as that! I mean the SKY IS THE LIMIT with these! 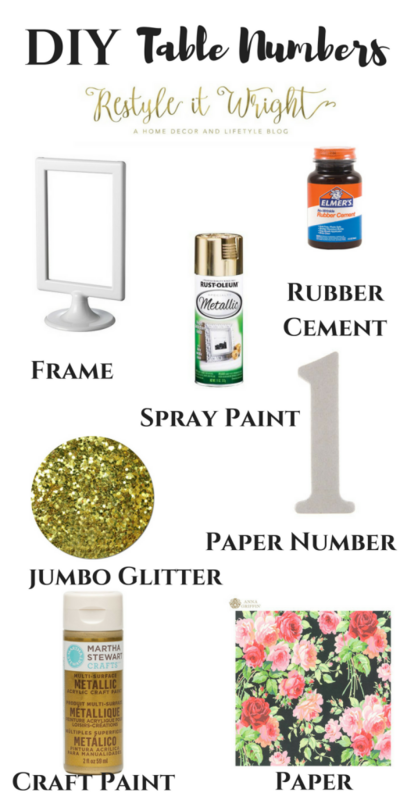 You could do just painted numbers – or silver glitter – black glitter – or even color you can find. The paper options are literally endless to create exactly the vibe you’re going for. 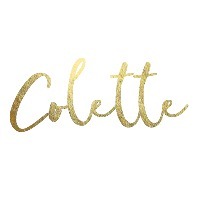 Even for spray paint there are oodles of options – a blush pink spray paint with navy paper and gold numbers would also look so chic. Here’s how they looked on the table! 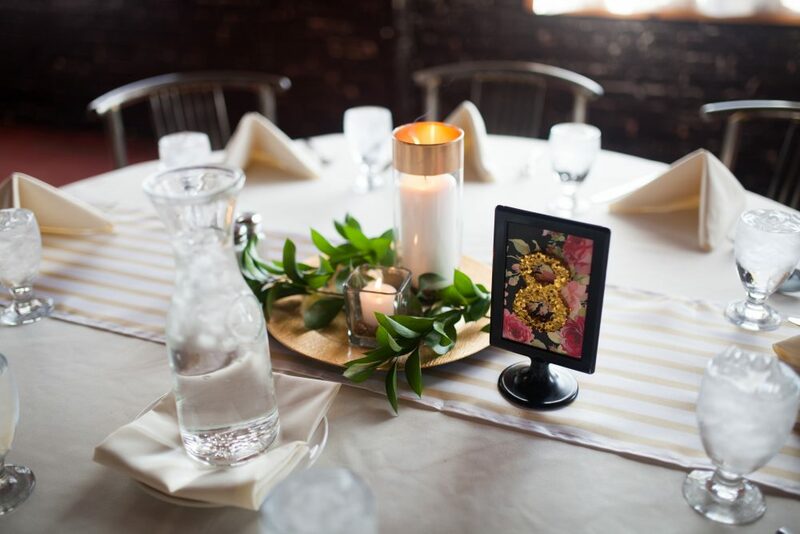 I’ll be sharing all the details of the table decor breakdown in a future post so stay tuned! This can also be filed under ‘the millionth ikea hack I’ve done’ haha. What do you guys think? Oh so chic? 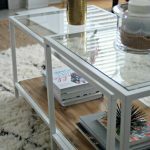 Anyone else hack the IKEA Tolsby? 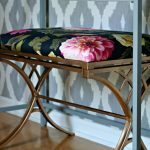 I’ll be back later this week with the much anticipated DIY stenciled floor tutorial and a special surprise! Thanks Mel! We loved the way they turned out! 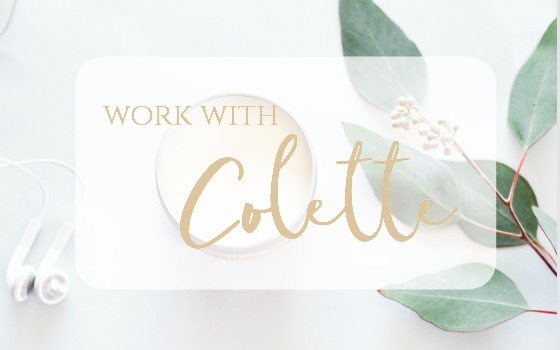 Sign up and receive my free guide on how to style your home on a budget!